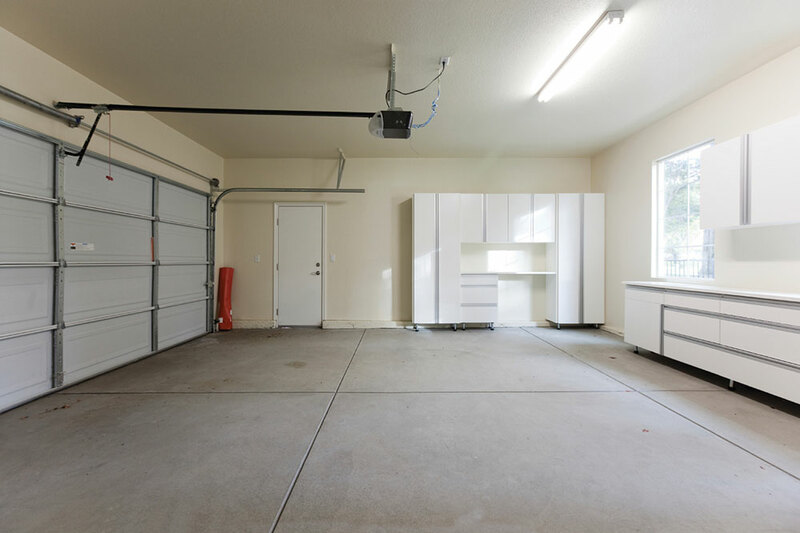 Improve the look of your garage while increasing the durability of the floor with epoxy flooring. The affordable flooring option has grown in popularity over recent years. From DIY to professional installation, epoxy flooring is heat-resistant, germ-resistant, abrasion-resistant and stain-resistant ideal for a garage. Determine how much of the floor you need to cover. If purchasing your own products, you can calculate how much you need based on the square footage of the area. A minimum of two coats is recommended. A professional Chicago epoxy flooring company can take the guesswork out of buying and installing the product. There is more than one type of epoxy coating available. Water-soluble is the cheapest option available in most box stores. While it offers durability like more expensive options, it needs more frequent applications. Professionals typically choose 100% solids epoxy as it lasts the longest. Solvent-based epoxy ranges from 30 to 70 percent solids mixed with solvents. Not all solvent-based epoxies meet VOC regulations. Epoxy is also available in metallic and colored. The concrete should be thoroughly cleaned prior to application. Stuck on debris should be scraped off. Professionals use a heavy-duty solution to degrease and remove dirt. Once the floor is cleaned, it is easier to look for any damages to the concrete itself. Holes and cracks should be repaired prior to putting on the epoxy. Have an expert look into the foundation if you have wet concrete. While you can install the epoxy coating yourself with any number of DIY kits available in big box stores, a professional installation often lasts longer. Professional contractors can repair damage to the concrete itself, prep the surface and apply the recommended number of coats. Many professionals add hardeners to strengthen the top surface of the epoxy for increased durability. Research available companies to find one with a solid reputation that uses the products you want. As with any floor, regular maintenance can keep it looking nice for years to come. Sweeping or vacuuming up debris keeps the floor clean. Clean up spills as soon as possible to avoid staining. While epoxy does resist stains, it’s recommended not to leave fluid or chemicals on the floor. Not only does cleaning up liquids quickly avoid slips and falls, but it also prevents damage to the floor. Simply spraying water over the floor and using a squeegee can keep the floors clean. Enhance the beauty of your garage floor with an epoxy coating. Hire a professional when you don’t have the desire or time to install it yourself. The affordable flooring option lasts for years to come.